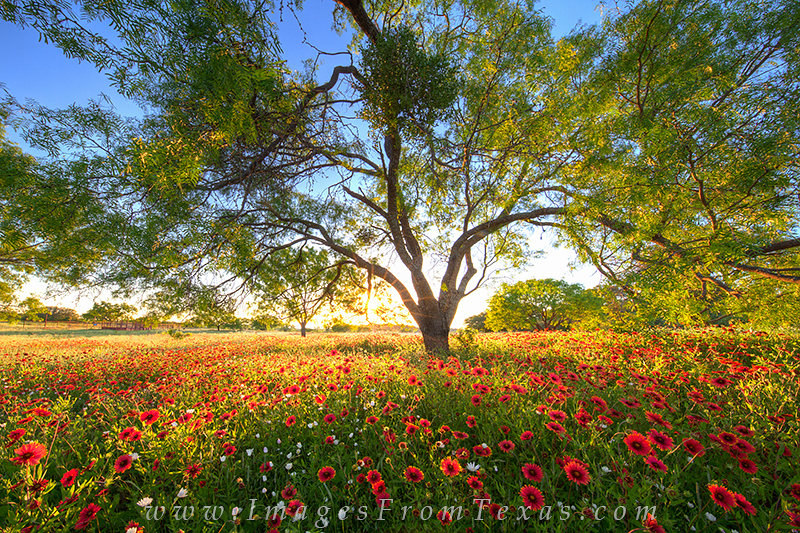 On a quiet evening in the Texas Hill Country, red wildflowers enjoy the long light of sunset. Landscapes such as this are common in the month of May, and firewheels are plentiful when the spring rains are frequent. Photo © copyright by Rob Greebon.